Chris St. Clair will be talking about his new book and signing copies on Wednesday November 4th, from 5pm to 6pm. It’s easy to enjoy a Jane Gardam book but hard to review it. She’s the British writer with a long list of novels and non-fiction, not to mention every literary prize you can think of. Her gift I suppose is her originality, and this, in turn, makes her very funny. “A Long Way from Verona” came out in l97l and has been reprinted five times since then. This is an attractive paper edition by Abacus. A little girl of nine is going to school in England during World War ll. She and her teachers go on reading Dickens, Hardy and Shakespeare until interrupted by an air raid on the Junior School. They carry on in British fashion, when one day the heroine, Jessica Vye takes a different route home and stumbles across an escaped prisoner of war. She turns her experience into a poem called “The Maniac”. To her teachers’ consternation this wins a prize in “The Times” . Up til then, Jessica had been considered unconventional and troublesome in her far-out essays. The book is written from her point of view; it does contain the standards of her broad-minded father,as well as a couple of superior teachers. It is an intimate look at a writer’s sensibilities, even one as young as nine years old. Unpretentious, it is joyful in its candour and very funny in its anecdotes. Alexander McCall Smith takes you where you want to be…whether in sunny Africa (The No.l Ladies Detective Agency) or misty Edinburgh, with the Isabel Dalhousie series, which he does with this latest book. The Scots writer has a penetrating pen in describing these neighbourhoods, as well as a canny way of bringing his characters to life. But these people are human,recognizable and likeable – a refreshing change from many of today’s books with their dark, unresolved stories of human relationships gone wrong. In “The Lost Art of Gratitude” the Edinburgh philosopher, Isabel Dalhousie, is still editing her review on Ethics, and probing into social problems that come her way. But these days she is happy with her fiance Jamie, and their 2-year old son, Charlie and does not get as perturbed as in earlier books. It is a pleasure walking or driving the cobblestone streets of Edinburgh and enjoying the tea and scones, or wild salmon steaks in the dining-rooms she visits. McCall Smith shows her growing more tender in her dealings, as her own home becomes ever happier. A woman financier deals Isabel a pretty wicked doube-cross, however, which she proceeds to resolve, with Jamie’s help. 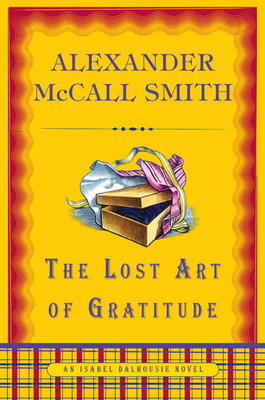 You can relate to these people – which is probably McCall Smith’s greatest gift. He himself is professor emeritus of medical law at the University of Edinburgh and has served on national and international bodies concernd with bioethics. It is amazing how quickly he turns out these novels. This is another one to enjoy. This is brave and revealing story of a famous Toronto musician who made his name and fame almost despite his famous father. 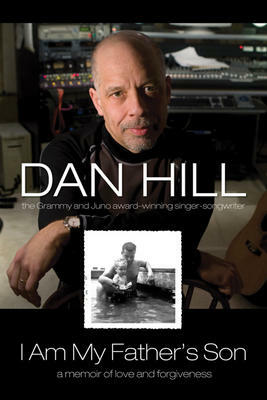 Dan Hill is a singer-songwriter with a pile of hit records, a Grammy, five Junos as well as gold and platinum albums to his name.His father was Daniel Grafton Hill lll, a well-known Civil Rights Activist in Canada. He had suffered from racism, as a Black man in America, but in Canada he set very high standards of behaviour and achievement, both for himself and his three children. The eldest, the author of this book, bore the brunt of this pressure. Although he met, and exceeded his father’s expectations, this story gives a touchingly frank picture of his battle to the end to please his demanding, charming but bullying father. The book gives fascinating insights into the world of music – its charm, as well as dangers and intrigue. With this book we get to know the Hill family quite well: Dan’s brother is Lawrence,who wrote “The Book of Negroes” two years ago – now a best-selling novel. On the larger stage, Barack Obama has written his own memoirs, of growing up half-white, half-black in America. It is a world this generation is finally getting to know. This book stands up well. This is a dark, moody book about the relationship between a man and wife. What makes it interesting is the brilliant descriptions of the parts of the world they inhabit. Anne Michaels describes the rescuing of the temples at Abu Simbel from the rising waters of the Aswan High Dam on the Nile. It remains a horrifying experience for the thousands of people of Nubia who lost their homes. In the same way, Michaels brings back the relocation beside our own St. Lawrence Seaway. The novel’s couple, Jean and Avery Escher, are involved in both these undertakings – he as an engineer, she as an avid botanist. Their own story reflects the intense trials of the work they’re doing which in turn affects their personal lives. Michaels stresses the feeling and need for home. Her book shows what can be saved from the violence of life. Their marriage, though precarious, turns out to be one of these things. 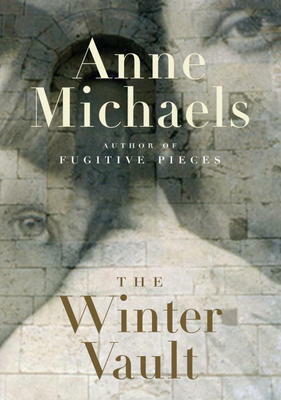 Anne Michaels is a Canadian writer, who lives in Toronto. Her earlier novel, “Fugitive Pieces”, has won literary prizes around the world, and also been made into an acclaimed feature film. John Updike is saying goodbye in this, his most recent collection of short stories. The famous author died in January, 2009, so this is in fact his valedictory book. It does have a flavour of looking back: to beloved homes in his native Pennsylvania, and later New England suburbia, to exotic locales in trips to Morocco, Florida, Spain, Italy and India. He remembers high-school reunions, the mysteries of growing up and falling in love, and an old man’s bedtime routine and the happiness it brings him. A critic on “The Guardian Weekly” calls Updike the greatest virtuoso stylist since Nabokov. He criticizes this book for leaving in sections where Updike repeats himself, but concludes that his American cast of characters is as witty as they have always been. More importantly, Updike’s creations live and authorial love is what sustains them. That love shows no signs of weakening in this book. John Updike was born in Shillington, Pennsylvania,in l932. He is the author of more than sixty books and has won the Pulitzer Prize, the National Book Award, among many other honors. 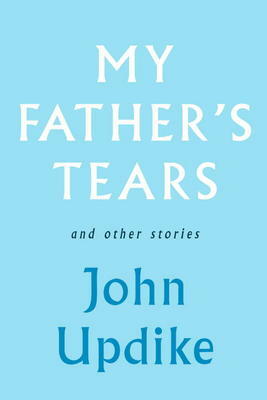 “My Father’s Tears” is a moving tribute to this fine writer. 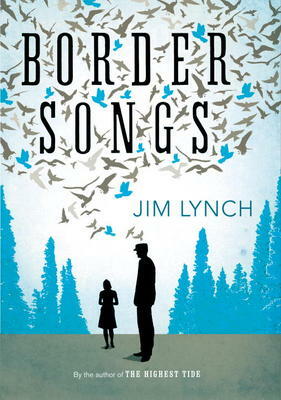 “Border Songs” not only comes out at a timely moment in Canada-U.S.border talks, it is also a powerful novel about the people living on both sides of this border on the Pacific coast. Jim Lynch is the author of “The Highest Tide”, a wonderful story about the sea and a group of people living beside it. He has got the same touch in this new book. His hero, Brandon Vanderkool, is a tall (6′ 8″) American,rugged, but also dyslexic – with a special feeling for the earth and sea and all birds living within earshot. He leaves his father’s dairy farm for a job with Border Patrol. To everyone’s amazement he catches one smuggler after another. This is at a time when the U.S. has tightened security, and the Americans and Canadians who once laughed and waved at each other across “the ditch” (as they called the invisible border ) now become suspicious of every move. People who used to garden, now grow cannabis. Brandon’s story is of the best of human nature winning out against our inhuman technocratic world. Lynch both laughs at, and deplores this world. His book is full of real characters, quite rough at times, who win through to a convincing ending. Well worth reading. This is a fine novel by a prize-winning professor of English in Pennsylvania. But I think you really have to have a love of birds to do it full justice. 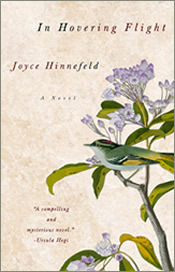 Hinnefeld is interested in the relationships between mother, father and daughter and explores their love of ornithology, wild life, music, poetry as well as their love for each other. The conflicts seem to come when one of the arts, or science, gets in the way of expressing their emotions on a personal basis. The heroine is called Scarlet (after the bird the scarlet tanager) and the book follows her search to understand her highly emotional,artisic mother. The natural world, with wonderful and constant stories of birds who enter the picture, is beautifully described. One reviewer calls Hinnefeld “a wise story-teller” – which makes this a charming book to read this summer. This is the story of two lonely young people in Ireland, one of them married, who fall in love for a summer that was always doomed to come to an end. 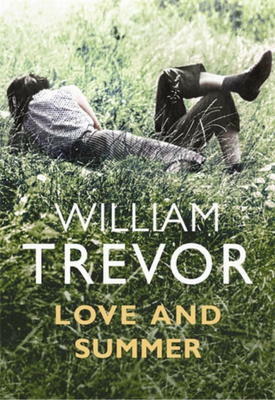 William Trevor takes you close into the lives of Ellie and Florian. This is small-town, rural Ireland where everyone knows what is happening in the big house, as well as the smaller ones. All the characters come alive as they watch this gentle love affair. Ellie’s husband had lost his own wife and baby in a horrific accident on the farm he ran. Ellie was an orphan,chosen by the nuns to look after and eventually marry this older farmer. Florian is the only child of two watercolourists. He grew up in a big house and was lost when his parents died, leaving him without any apparent ambition or training. He met Ellie in a nearby town, where he was practising photography. He was also planning to sell the house, and live abroad, possibly as a writer. There is something inevitable about their love and at the same time touchingly sad. Trevor is deft in his sketches of all the lives involved. He also paints a beautiful picture of the lakes, flowers and birds that enhance the green countryside. The Irish voices ring out musically and a whole new world comes to life – totally entrancing, in 200 short pages. Trevor lives in County Cork. He has written many novels, and short stories, and won many prizes. His last book “The Story of Lucy Gault” was shortlisted for both the Man Brooker and the Whitbread Fiction Prize.